Amalgam — The classic “silver” filling in use for more than a century, dental amalgam is actually an alloy made up of mercury, silver, tin, and copper. 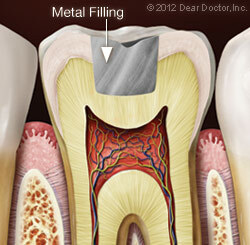 The mercury combines with the other metals in the amalgam to make it stable. 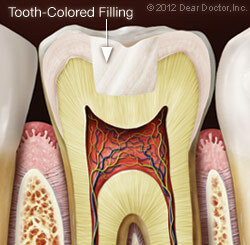 These fillings require removing more of your tooth structure than adhesive fillings, thereby weakening the tooth. We don't perform this service in our office. The numbness of your local anesthetic should wear off within a couple of hours. If your tongue is numb, you should guard against biting it. Otherwise, there are no eating or drinking restrictions. 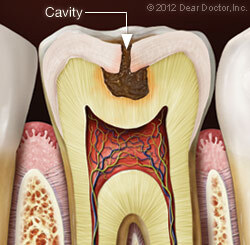 With adhesive restorations, you should not expect any sensitivity to heat or cold. If you have pain when biting down or chewing, an adjustment to your filling should be made.